The new unit entry for Wolf Scouts was a disappointment for me. I was hoping, given the obvious shooter-bias in the new edition, we’d see Wolf Scouts who could still Operate Behind Enemy Lines, or that we’d see the Land Speeder Storm as a Dedicated Transport option for them. 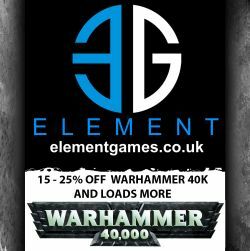 Since Forge World is churning out Heresy-era man-portable autocannons, I was hoping that option from the third edition codex would come back, too. Instead, we got camo cloaks, flakk missile access. 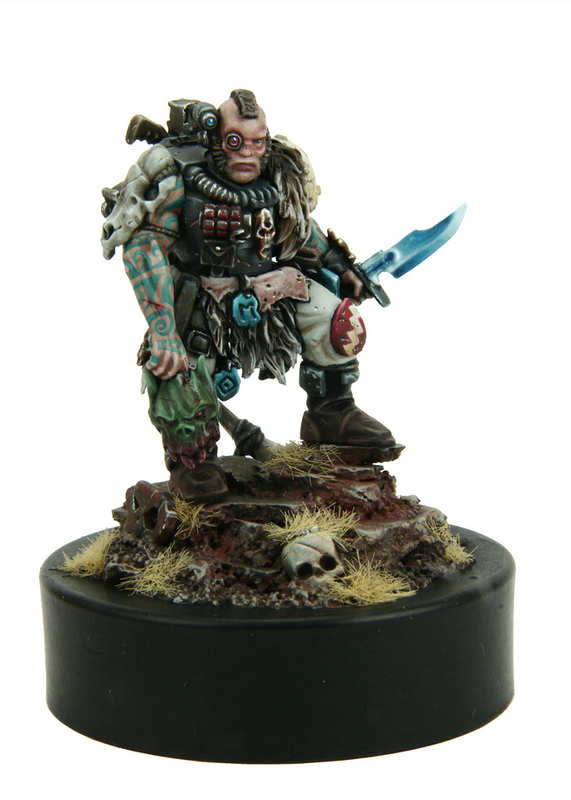 A lot of folks feel like the Wolf Scouts got short shrift, both in this edition of the codex and the last, given the core rules and the ban on assault-upon-arrival. They’ve changed, certainly, I’ll grant you. But were Wolf Scouts supposed to be the kamikaze backstabbers we used to use them as, where they blew up or assaulted one or maybe two pricey units in the enemy’s backfield, then died to withering and spiteful counter-fire? No, these guys are supposed to be embedded, lying in wait, ready to spring on the enemy from an unexpected threat-vector once the main attack has begun. Infiltrate plus Scout lets them do that. No, they’re not popping up on the opponent’s six o’clock, but with the Wolves Unleashed Detachment, it’s almost like they taught the whole Great Company a few of their old Outflanking tricks, so I suppose it’s a tradeoff. 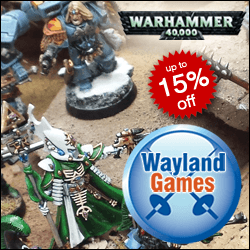 Other folks see these guys as costing more than Scouts from those Chapters that are more adherent to the Codex Astartes and draw their scouts from Codex: Space Marines. Sure, they cost more. They’re better shooters and better in melee, with WS and BS 4 statlines, plus they’ve got Acute Senses and Counter-attack. When these guys take and hold a ruin or some other patch of cover, they’ll hold it a heck of a lot better than any of Telion’s lads from Ultramar. These are seasoned veterans in scout armor, not neophytes. They’re specialists, not trainees. 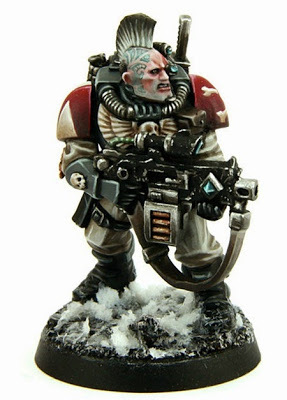 So, what uses do I see for Wolf Scouts, given the new codex unit entry? First off, these guys have camo cloaks now, so they need to be in cover to provide the most bang for your buck with that 4+ armor save. In cover with cloaks, they’re going to be hard to shift indeed. As far as other wargear options, I think we’re foolish to not take advantage of camo cloaks, unless you’re using them as a speed bump, rear objective holder, or suicide squad. Shotguns and bolters on these guys I’m not so keen on, sniper rifles definitely have their place now, and pushing a few special weapons into the group if you expect them to get attention from armor or heavy infantry might not be a bad call. But I really think the thing here is to keep them cheap—six guys, maybe seven, minimal kit, a clear purpose and mission. Maybe a minimally-kitted Wolf Guard Pack Leader to give them the extra Leadership and some flashy wargear to augment the output of the pack, but I’d keep it minimal. This is a bare-bones long-gun pack, who establishes a foothold until your Grey Hunters can reinforce them and harden the position. They infiltrate, take a spot during the Scouts phase (midfield objective, fortification, ample midfield cover to channel the enemy, etc), and hold it until reinforced by Grey Hunters, then add their bolter fire to that stron gpoint. If that Grey Hunter pack has the Wolf Standard and the proper kit to stave off enemy charges on the position, good luck shifting them. Example Pack: 10 Scouts, equipped as they come, possibly adding camo cloaks and/or a heavy weapon. Cost: 140 points, 160 with cloaks to make them extra durable in cover. Boltgun and boltpistol, or boltpistol and close combat weapon, possibly with minor upgrade expenditures like camo and a heavy or special weapon. These guys Infiltrate and Scout forward, grab a midfield objective or fortification, and hunker down until reinforced by Grey Hunters. In an army that favors Drop Pod Assaults, I don’t see this really selling—the Grey Hunters can get there quickly enough via Drop Pod Assault to claim the objective themselves in the first or second turn. Maybe, if you’re running the Company of the Great Wolf and pushing several of its formations, then you’ll want cheap Elites, and these guys can fill that need, but otherwise, I don’t see it. Example Pack: 5 Wolf Scouts (boltpistol/close combat weapon, 1 subbing boltpistol for meltagun), Wolf Guard Pack Leader (boltpistol/power weapon/meltabombs). The pack has a meltagun in case they get a peek at side or rear armor or assaulted by a walker, and the Wolf Guard has a power weapon and meltabombs just in case. Plasma pistols, meltagun, heavy bolter or missile launcher, power weapons—you can move something nasty forward. With a Wolf Guard Pack Leader, you can add to that, but he’ll be without the camo cloak. Technically, they’ll be able to get close, hide in cover, and set up a Turn Two charge on an advancing enemy unit, but then we’re back to kamikaze style, and unless they’re lucky, I’m not sure it’ll pay off in the age of the return of Overwatch. But, again, they could grab a midfield point and hold it until reinforced or relieved. They could also temporarily crew an Aegis Defense Line, too, then, once relieved, move on to follow-on objectives. Still, I don’t see this being a popular choice. Too expensive. Example Pack: 10 Wolf Scouts (2 power weapons or plasma pistols/close combat weapon or boltpistol (note, you could go gunslinger here)), 1 meltagun, 7 boltpistol/close combat weapon), Wolf Guard Pack Leader (combi-flamer or -melta/power weapon). Plenty of armor penetration, but it’s all selected to keep these guys on the move. You could add meltabombs to the Wolf Guard Pack Leader for extra security. These guys infiltrate forward and look for a juicy target to charge, or secure a fortification well forward of the deployment zone. Cost: 215, 220 if the Pack Leader has meltabombs. Like I said, expensive. Here, I think, is where the new Wolf Scouts will see the most play. The camo cloaks give them better saves in cover. Flakk access means they’ll have a means of scaring off or responding to fire from aircraft before getting reinforced. Kit them out, and let them create a threat bubble in the middle of the board for you, while you push Rhinos or strike Drop Pods down around them to consolidate the salient. While you’re doing that, they might drop a squad heavy weapon or character with the sniper rifles (Precision Shot on 6+, plus Rending), and earn their points back in a single turn. Example Pack: 5 snipers (sniper rifle/close combat weapon or boltpistol/camo cloak), 1 heavy weapon (heavy bolter or missile launcher/boltpistol/close combat weapon/camo cloak), Wolf Guard Pack Leader (boltpistol/power weapon), or leave the Wolf Guard Pack Leader out entirely. The snipers do their job, the heavy weapon guy and the Pack Leader (if you have him) are there to fend off anybody trying to assault the snipers’ roost. Here, it’s a toss-up whether you want the heavy bolter for extra anti-personnel, or the missile launcher, possibly with flakk, to stave off attention from armored attempts to shift those snipers from their forward position. This pack infiltrates forward, and uses its scout move to ensure they’re in prime cover with clear lanes of fire on anticipated avenues of enemy approach. The snipers should go gunning for small squads with heavy or special weapons, or those units with characters and leadership units in them. Weight of fire attrition and Precision Shots on sixes should erode any Look Out, Sir , shenanigans in short order. Having a flakk shooter established forward in cover, particularly if his position overlaps another anti-aircraft shooter (examples include a Long Fang flakk squad, Hyperios Whirlwind, an anti-air fortification, Sicaran Battle Tank with its jink-ignoring accelerator autocannons, or your own flyer), may also make your opponent more cautious when fielding flyers. Cost: 116, 121 with missile launcher, 137 with flakk. Wolf Scouts aren’t the one-shot jack-in-the-box they used to be. Now, they’re more how they were always described in the fluff—seasoned veterans, operating ahead of the main force. Treat them as such, support them, and they can pay serious dividends. Try to make them go-it-alone flankers, and you’re throwing away some serious opportunities. Think like a wolf pack: harry the target from all sides, wear it down and confuse it, then go for the throat.